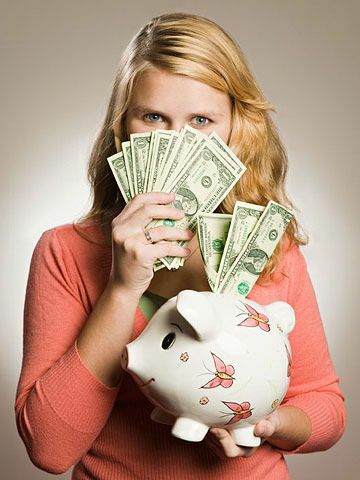 If you make kids money-smart now, they'll be fiscally responsible for a lifetime. Here's how to get started. Goal setting, saving, inflation, and diversification are the four key and most basic components of finance, says Stuart L. Ritter, a financial planner at T. Rowe Price Investment Services. According to Ritter, there are opportunities to hone your kids' brains for budgeting in everyday real life too. — Get your tween used to looking at prices the right way by using the "price per unit" amount displayed on grocery store shelves, and challenge him to find a better deal than the one you've found. — Give your kids a budget. Have them write down exactly how much they spend on Starbucks, clothes shopping, fast food, and meals out with friends in one week — grand total is almost guaranteed to surprise them. 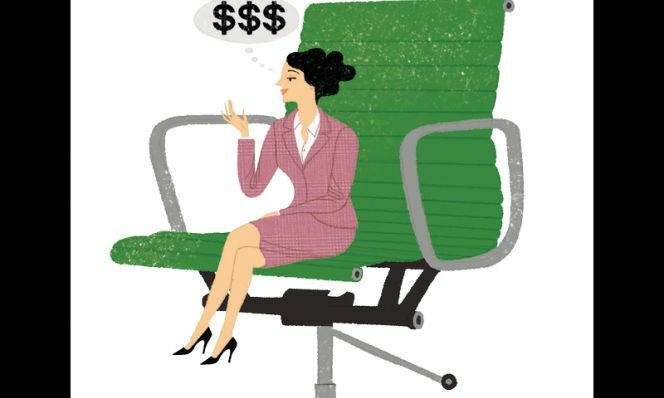 — When your teen requests big-ticket items like an iPad, show her how to work toward a goal. Based on her allowance, figure out the amount of money she should set aside each week, and calculate how long it will take her to have enough for the purchase. — If your kids want cell phones, first ask them to research phones and plans, and make them responsible for at least part of the monthly bill. The most effective way to get them to become more selective about add-ons to their service is to require them to fork up the cash. When it comes to allowance, it's not just the amount you're concerned about — it's how they spend it. Here's how to teach your kids to do so wisely. — DO give your kids an allowance. 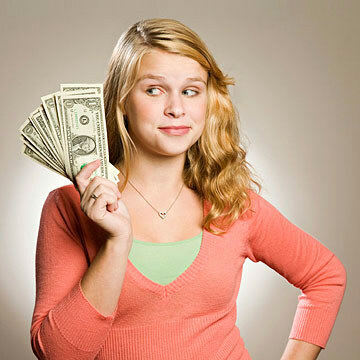 The general rule of thumb is that kids should get half their age in dollars each week, though the family budget should be taken into consideration. Parents should also keep in mind what they expect their kids to pay for with their allowance. — DON'T let grades influence the amount they receive. Kids should know that doing well in school is about them and their future. Encourage effort: A kid can try his best at advanced calculus and still not earn an A, so he shouldn't be penalized. There are many ways to show kids you are proud of an achievement like a great report card without having to break out your wallet. — DO let them use their own money, because that's how they learn to value it. When it comes out of their own pocket, they're more likely to feel the impact of their spending. — DON'T micromanage. Yes, they'll make mistakes, but the best time for them to learn from those errors is when the dollar amounts and financial consequences are low. According to a survey by T. Rowe Price, 41 percent of parents who give their kids an allowance say their kids always or sometimes ask for more money. Instead of doling out more dough, ask your kid to write down every purchase. He'll see where he can cut out extras to trim his expenses. — DO set up a savings account for your children, whether through a real bank or threejars.com, an interactive tool that allows children to responsibly earn, track, and spend their own money by divvying it up between Save, Spend, and Share jars. Anton Simunovic, founder of the site and father of six, believes that eventually most types of banking will be done on the Internet, so it's in their best interest to get familiar with tracking and balancing their finances online now. Online teaching tool: ThreeJars.com, which is targeted at 6- to 13-year-olds. "I created the site because I wanted my kids to learn to live within their means," says Simunovic. "This recession has shown us that knowing how to use money is a life skill. If kids aren't taught how to manage their funds from a young age, it ends up managing them. In the same way that parents who want their kids to be good at a sport start them young and make them practice — well, it's no different with money." Teens love to shop, their parents want them to spend less, and Leslie Muckleroy can teach everyone how to do both. The former becentsable.net educator visits home economics classes in the San Antonio, Texas, area to share her savvy strategies with high school students. "Teens want to save on makeup, clothes, fast food, and entertainment," Muckleroy says. "But they are also extremely brand-loyal and label-conscious. Helping them set up a budget and savings plan just takes a little extra communication." 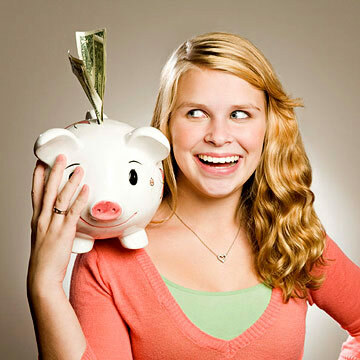 Muckleroy shares some of her favorite tips for helping teens be fashionably frugal. — Go to the Web. The easiest way to save at the mall is to sign up for e-mail newsletters. All the popular mall stores, like Aeropostale, Hollister, and American Eagle Outfitters, send out coupons, special deals, and sale notifications. Tell your kids about the great bargains on sites like coupons.com, becentsable.net, and couponsherpa.com, where they can look for savings on their favorite stuff, including makeup, toiletries, snacks, and fast food. — Shop sales. It may be obvious to you, but not necessarily to your kids. When Muckleroy takes her 13-year-old twin daughters to the mall, they know to head straight to the back of the store, where the discount area is typically located. Her kids are also more likely to search out bargains when she sets a clear dollar limit. "Some sale items go for a fraction of the cost of the newer clothes, so when her girls have only $20 to spend, they're going to get a few $5 polo shirts instead of a full-priced tee for $15," Muckleroy says. "Your teens will learn that they can get more if they buy on sale." — Give a gift card. When you're the one paying and your teen is shopping with friends, hand over a gift card instead of a credit card. That way she has no choice but to stick to the budget.